On Black Friday, Sue and I thought that the Jo Hayes overlook would be a way to avoid crowds in favor of watching hawks. Unfortunately, the raptors were noticeablely absent, though with one magnificent exception: Four black vultures appeared simultaneously. 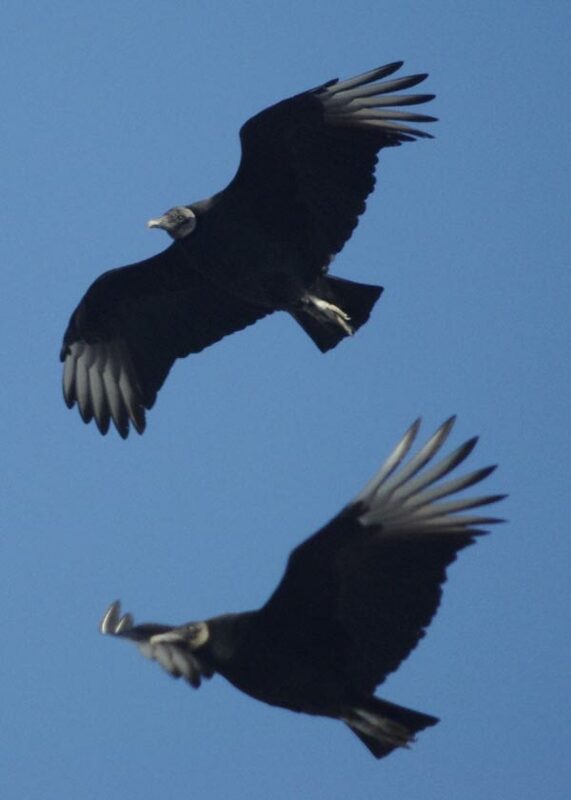 Black vultures are not particularly common in Pennsylvania, and the only time I see them is during migration. Per their name, black vultures are black but with distinctive white flight feathers on the wingtips and a gray head. 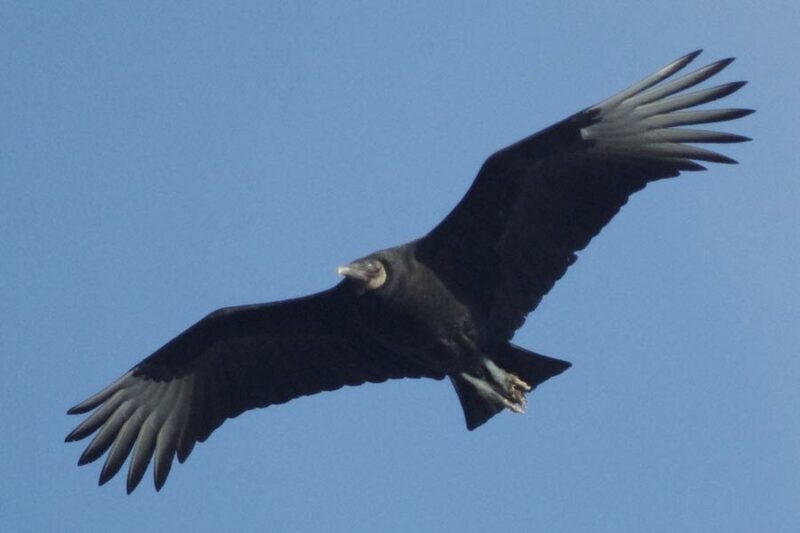 From a distance, a black vulture could easily be mistaken for a golden eagle, since the flight pattern is similar. A giveaway is that in flight their talons extend beyond their tail. Photo note: I used a Pentax K200D, with the SMC 1000mm reflex lens, on 28 November 2008, otherwise known as Black Friday.